In this post, I want to share my experience as someone who is aspiring to promote Thesis theme and face roadblocks. Eventually, I am back to putting Adsense ads which would probably feature advertisement from the theme’s competitors. There are things I wish DIYtheme could have done differently to enable us to make promoting their products easier. In 2011, I purchased the Thesis wordpress theme and have never looked back. I implemented Thesis theme across all of my active sites. It was (and still is) an excellent paid theme. Come 2017, as I upgraded my Thesis wordpress version, I tried to search for tutorials and could not find any free tutorials like how it was prior to 2012. It seemed most popular bloggers have jumped ship to Thesis’s competitor theme. All I could see were some negative reviews right up to Thesis 2.0 and then hardly anymore tutorials on it. As Thesis version 2.1 carried different features that the earlier version, I struggled with lack of tutorials. Eventually, I persisted and finally figured out its canvas and was very pleased to be able to create custom pages and sidebars. I really have to thank Rick Anderson of BYOB website for his video guides to help me figure out. I decided to spend time to write more from the perspective of a non coder to help others who are in the same situation as me to continue to use Thesis. Especially folks who does not have a strong background knowledge in CSS and html codes. My sites are monetized using Adsense. However, I did not want competiting themes and products to appear on the site when I am writing about Thesis theme (just like when I wrote about KFC in another blog, the McDonalds delivery ads were appearing). If there is any products that I believe in selling, it is Thesis wordpress theme. So I tried to sign up as an affiliate. DIYthemes has outsourced their affiliate program to Shareasale.com and in order to be able to help them sell the product, I have to apply and get approved as a Shareasale affiliate. I applied and my application was declined. In fact, I tried 3 times and it was declined! I suspect the likely reason they declined my application was that the blog that I nominated does not drive traffic primarily from US. Again, Thesis wordpress theme is a wonderful theme. It has so much of potential that is almost limitless especially if you know CSS. a. 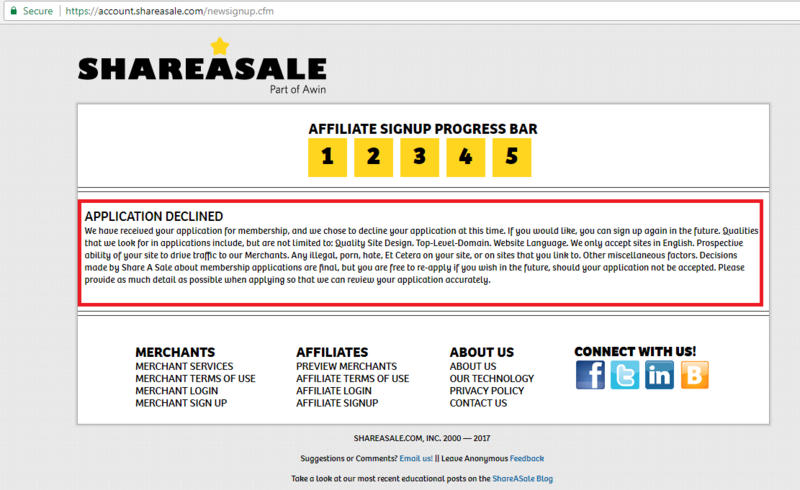 Do not limit affiliate program to only Shareasale.com. I know Shareasale has good reputation. Therefore they don’t simply approve application. They are also vary of publishers outside the US since they mostly focus on merchants and sales within US. However a theme or any software is a universal product. It can be brought and installed in any servers around the world. Shareasale would have their own policies of approving affiliate application which I fully understand. Initially I remembered that DIYthemes managed the affiliate program on their own but decided to outsource it due to some issues. Therefore in order to increase the potential of the selling the theme, there has to be more alternatives available as incentives for bloggers like us to promote their theme. Perhaps to open it up to other affiliates like CJ that does not require approval for application. Granted, easier entry may result in rising of spam sites. But I believe Google is taking good care of de-indexing spammy sites. This is something that I sort of fail to understand. The newest version of Thesis is already mobile responsive so I do have trouble understanding why the DIYthemes page itself is not fully mobile responsive. I have seen the DIY promote page in Google search results diythemes.com/buy is not mobile responsive. There is a lack of detailed free resources available that could guide users who bought the Thesis theme today on how to use it to its full potential. The best way to promote is via word of mouth or to engage technical writers, bloggers or vloggers to promote the theme on their blogs and YouTube channels. The Thesis theme allowed not so technical but aspiring bloggers to be able to build a site that they can be proud off on their own. I have seen so many vloggers who took the time and trouble to explain in detailed how a certain program or software works- with full and detailed screen demos. It then lead to many people buying the program, often through the affiliate link. Videos and blog posts created would remain would stay relevant until the next big change come along. It is way cheaper than traditional advertising and more effective. In my previous job I had written a long of tutorials, often using layman language on more technical subjects. I sort of miss doing that and hence when the inspiration hits me, I love to write tutorials on the discoveries that I could do using this theme. Even though I am not able to promote it as an affiliate, I still believe strongly in this product. I would still continue to write posts to share about the wonderful stuff that can be done using Thesis. At the same time, as I still need to survive.. I would continue to monetize using Adsense.